The list of top 10 Bollywood songs of the week does not have many changes from the last week’s list. Even though the music album of Love Games was released this week, it turned out to be quite disappointing considering that it is coming from the Bhatt Camp. Apart from a few changes in positions, there is no new entry this week. 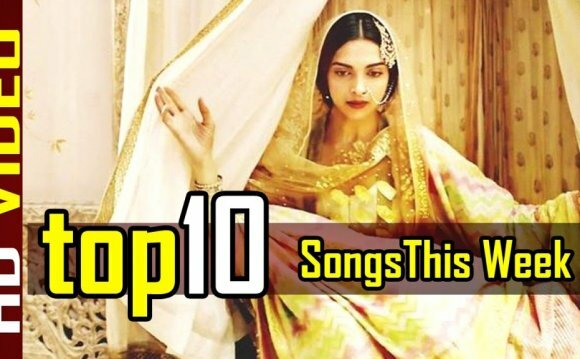 Let’s have a look at top 10 Bollywood songs 14-March-2016 to 20-March-2016. This peppy party number from Kapoor & Sons has been ruling the Top 10 charts for a while now. Rocking the parties and inspiring girls to put on their ‘High Heels’. Bombay Rockers are back at it with a bang! If you are not a big Shah Rukh Khan fan, Jabra Fan may make you change your mind big time. This high-on-energy party number from Kapoor and Sons is here to make you get on the dance floor! This sad love ballad from Ki and Ka is a treat to the ears. The soulful voices of Arijit Singh and Asees Kaur, the heart touching lyrics are written by Dr. Devender Kafir and the music by Tanishk Bagchi make ‘Bolna’ beautiful. A song for all ‘Aashiqs’ to be dedicated to their love.